We don't buy bananas that often either, but I'm going to have to get some special for this! You've got me craving banana bread something fierce. 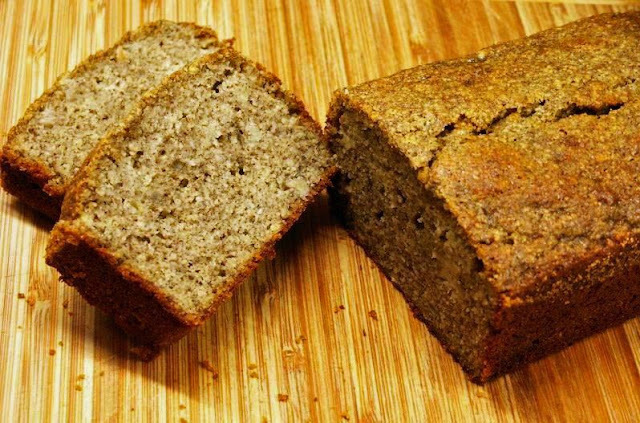 With that amount of almond meal, this naturally gluten free banana bread must be really yum! What a fabulous dessert and heavenly combination. I love this absolutely!!! 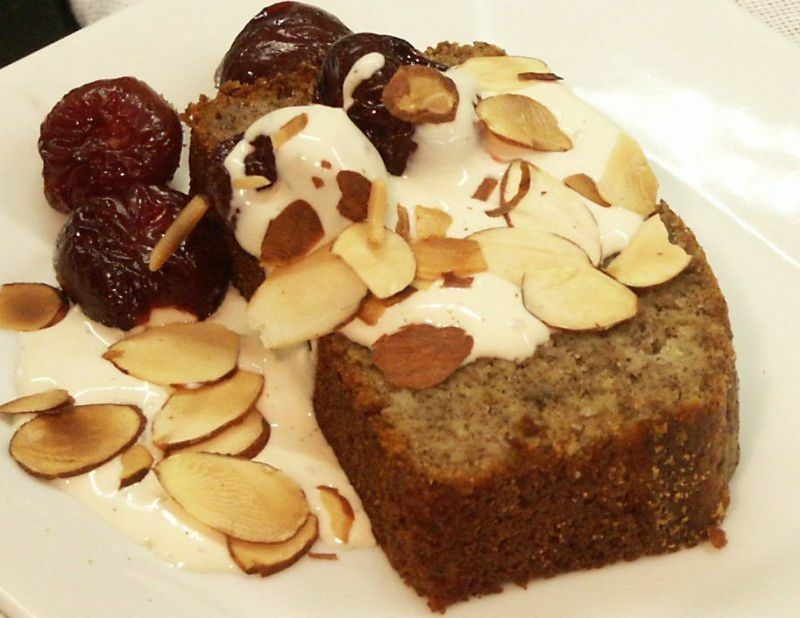 Love the cherries, the almonds and the banana bread ! all look amazing!!!! We don't buy bananas often either, but your bread sounds so tasty with bananas, almonds using buckwheat flour. Buckwheat flour gives breads such a distinctive taste and very, very nice for a change of pace. You know that I am going to try this Barbara. 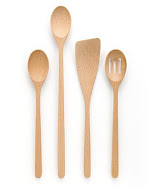 Perfect for the way we are eating right now! Thanks for a great recipe. At first, I was very excited when you mentioned Private Collection because I recently purchased both that cookbook and Savor the Moment based on your recommendation :) Even though it's not from that cookbook, I would love to try this because it sounds so wonderfully different. We always have bananas in the house as I usually eat one every day. So far, my favorite banana bread recipe is from Noteworthy, which isn't a Junior League cookbook but from the Women's Board of the Ravinia Association (The Ravinia Festival is the oldest outdoor music festival in the U.S. in Highland Park, IL, not too far from Milwaukee). i've worked with buckwheat flour only once, in pancakes, and used WAY too much. they were like hockey pucks. this bread looks much better and is making me rethink my buckwheat ban!